I’ve wanted to do a Mental Health & Cancer blog post for a while. I think they are closely connected and both need addressing together. Being told you have cancer was like a bomb going off in my head and it needed some getting use to. My cancer was doing its own thing but my head was stunned. The mental health side would have to be put on hold as now it was going to be all about Cancer. Last year in October it was “World Mental Health Day” & “Bone Cancer Awareness Week.” (I was diagnosed with bone cancer in 2008). Also last year in November it was “Pancreatic Cancer Awareness Month” & sadly this was the cancer my beloved Father died from in 2014 when only 57. I thought that Cancer & Mental Health was the right first blog to post about because they both decided to come into my world. You never hear about the mental health side of cancer. “Living with Remission but dying inside…..” – I chose this title to show the psychological impact cancer has on my emotional & mental health. Regardless if I’m in remission physically, mentally I’m suffering and my depression/PTSD is one of my medical conditions that can prevent me having a good quality of life sometimes. I’m Becki, I’m 29 and live in London. 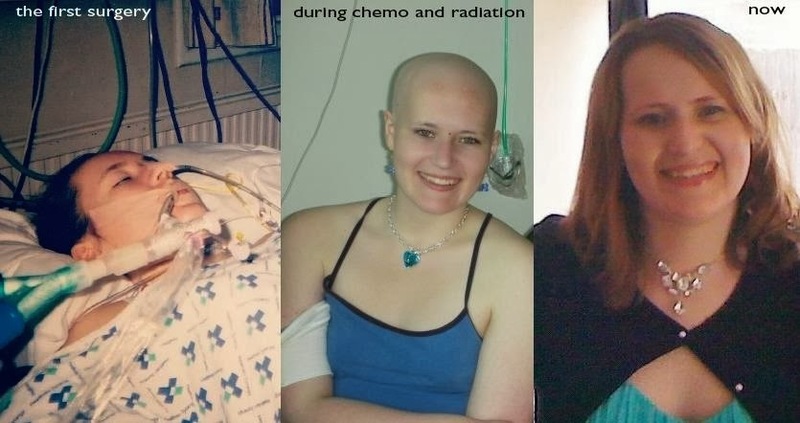 Even though I’m in remission I called my blog “Coping with the Big C” because I personally still struggle with the side effects of cancer treatment daily like extreme chronic fatigue, pain and much more even though I’m 6 years in remission from Osteosarcoma. It’s more about Coping with the Big C in terms of my mental health because I find I struggle really hard with my mental health like depression & PTSD (Post Traumatic Stress Disorder) in terms of cancer than personally the physical side of what cancer brings even though that’s quite hard too. I want Coping with the Big C to be for everyone whose trying to cope with cancer whether physically or mentally. Coming together sharing tips and advice on how you personally cope with your cancer. Carers, family and friends with people who are going through cancer treatment are welcome here to share your views too as everyone is affected in one way or another and goes through it with the person with cancer. I also like to help promote other illnesses and medical conditions/other causes too even if not cancer from time to time whether through my blog or social media accounts.